Think about your present marketing activities for a moment. Are you bulk emailing helpful? Are you getting returns from your online marketing? Does your sales team spent a large portion of their time on email prospecting and sending quotations? If yes, then you are not alone. This is the story of many businesses today. Small businesses, in particular, face these issues due to the lack of sophisticated tools, capital and human resources. So how do you solve this problem? What could be a possible solution that is cost effective and improves the efficiency of marketing operations without too much pressure on resources? The solution is pretty simple, a marketing automation software for small business. Yes, you heard me right there are software that can automate your marketing efforts. And some of those are specially designed to help small businesses focus on their marketing and sales. What is a Marketing Automation Software? Marketing Automation is a way to streamline your marketing activities and focus on marketing that actually brings conversions. With the help of a marketing automation software, we gain full control over our email prospecting, lead generation, nurturing and closing. The quality of personalized messaging increases and time spent on marketing activities decreases. With growing popularity of online marketing, it is always important to stand-out from the crowd. To make an impact on your prospects you need to tell them what they need and you need to do this at the right time. Automated marketing enables this by segmenting your email list based on your buyer personas and personalizing the message for the leads. It can also take care of your social media accounts and influencer networks. These are the steps for installing marketing automation for a small business. A small business is tight on resources and has a lot of uncertainties. Marketing automation software for small business are very efficient but they need some time to start giving you meaningful results. These automation software can take care of different parts of marketing on the go. 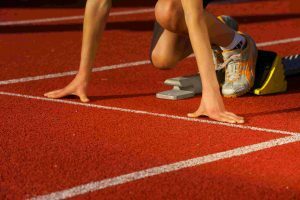 The basis of any marketing is goal-setting. Set the target output you would need to make it possible. Make cost calculations, set targets and streamline your approach. Knowing the end –goal will help you plan your buyers, budget, tools etc. Remember that marketing automation is easy to use but hard to master. Thus, having unrealistic expectations for short-term advantages is a big NO. It is important that you do your homework. Do proper research, define your ideal buyers, understand the scalability of your business and then work your way in this. 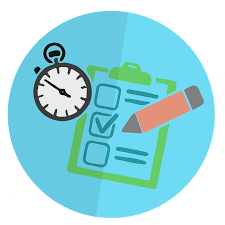 Going unprepared is the first mistake we make while implementing a marketing automation software. In the initial stage, marketing automation is best suited to optimize the mid-level of your marketing funnel. I have seen many businesses spending a whole lot of money on software and then buying leads to do bulk emailing. Well, this can be a short-term trick but it won’t last long. The first thing to do is to start using different marketing channels to get leads. These channels may be content marketing, social media advertising, search engine advertising and so on. Not to forget SEO still plays a big role in lead generation. If you are able to generate quality leads then you are ready for the next step for implementing marketing automation software for small business. As a small business, marketing automation can soon become overwhelming. It is important that you start early and start small. Start with drip-emailing and personalized emails for subscribers. Slowly automate towards to social media management and lead generation. Once you find a working strategy then scale it to the required level. Your sales team has a very important role to play in the successful usage of marketing automation for small business. They are the ones who can tell the right time to start selling. At the end of the day, it is only and only pure conversions that matter. Great lead nurturing and communication is good but we should start prospecting as well. A lead is qualified for sale once you have established your name in front of the lead. For small businesses, it is logical to start prospecting early and focus on your conversions soon. As soon as a lead is deemed fit, bring in your sales rep and let them handle it. Monitor your results, optimize, experiment & report. As a small business, it is key that you keep optimizing your strategy. We must never stop A/B testing and experiment with new techniques. Revising strategy as per client’s need is the ultimate way of increasing your conversion rate. Focus on key metrics like response rate, conversion rates, lead quality etc. to know where you are headed. To maximize your ROI (return on investment) it is important that you focus more on optimization than on putting in more money into marketing software. Focus on the fuller utilization of current resources and scale accordingly. 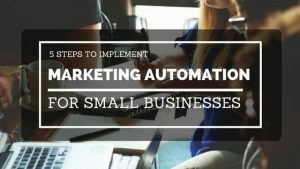 Hope this guide helps you to properly leverage marketing automation for small business. Good Luck! Great article! Don’t forget when implementing your marketing automation that you’ll need to keep a significant budget for content generation. Thanks for the tips. We’re planning on using marketing automation this year. We’re probably going to choose GetResponse. How to Find & Manage Instagram Influencers? An Ape’s Reasoning for Micro-Influencer Marketing: Why it Works? Who are Micro-Influencers and How to Find the Right One? Singup for Latest Updates and Free Ebooks!! Concept Allies is a blog focused on spreading innovative marketing ideas. My reason for creating this blog is to share my ideas and vision with the business community and help them achieve their goals. I am Yogesh, a digital marketer executive currently helping IT companies grow their SAS products. With a growth hacking mindset, passion for marketing and obsession over customer experience I specialize in creating campaigns that make conversions happen.